In theory, I like age tracker funds. In practice, I don’t. In theory, there’s no difference between theory and practice. In practice, there is. In theory, I like the idea of funds that adjust your investment approach (asset allocation) based on your age. The idea is that at the start of your life, you can/should invest more aggressively, and as you get older, you should invest more conservatively. These funds effectively automate the process of adjusting your asset allocation to better suit your age. They are the ultimate “set and forget” investment. In theory, this is great. As a general rule, people should invest more aggressively when they’re younger and more conservatively when they’re older. The trouble is, age is not the only factor that determines whether an investment strategy is suitable. I know people who are in their thirties who should be invested entirely in defensive assets such as cash and bonds. This is because they’re about to buy a home and don’t want to be exposed to any volatility in relation to their house deposit. And I know people who are in their sixties who are invested almost entirely in growth assets – and in light of their circumstances, needs, and objectives, this is suitable for them. This is because they have more than enough money, and their concern is not sustaining their lifestyle but maximising their wealth for future generations and/or causes they care about. The other problem is that a fund like this can’t consider your broader circumstances. A fund like this is, at its heart, myopic. It can’t factor in your other investment assets, such as funds inside KiwiSaver or the equity you hold in one or more properties or businesses. And as I’ve alluded to above, it can’t factor in your future cash flow needs. The best argument I have for using a tracker fund like this is that they are great for people who are extremely disengaged with their finances. But even then, my advice for someone like this would be to ENGAGE IN YOUR FINANCES!!! Enjoying this article? Sign up! 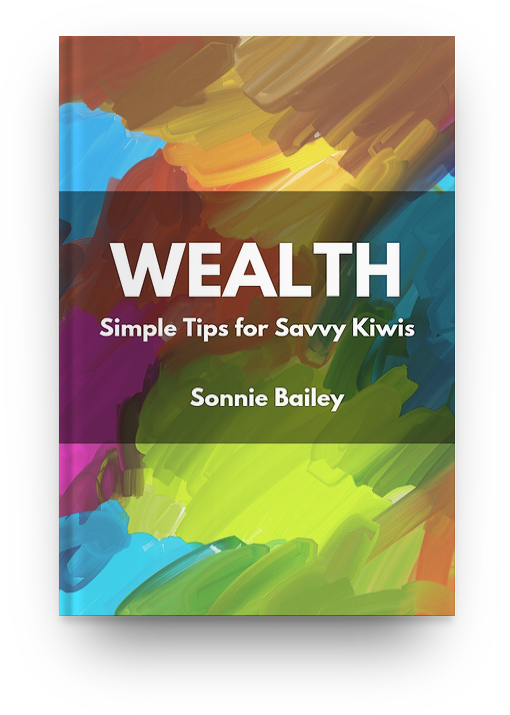 Sign up to the NZ Wealth & Risk mailing list, and receive a free PDF book, plus a series of emails explaining How to build your own financial plan. I don’t begrudge age tracker funds. I like living in a world where they’re available. In fact, I have a soft spot for them, because it feels like they’re a rare financial product created with good intentions. But I’ve never used them or recommended them. And as hard as I try, I struggle to think of a situation where I’d use them, or recommend them to a close friend, family member, or client. Sonnie is an Authorised Financial Adviser (AFA) and former lawyer with experience in the financial services and trustee industries. Sonnie operates Fairhaven Wealth (www.fairhavenwealth.co.nz). - A series of emails explaining How to Build Your Own Financial Plan. NZ Wealth & Risk doesn’t advertise products or services provided by any third party, and doesn’t generate any affiliate income. This website is made possible by Sonnie’s business, Fairhaven Wealth. Visit www.fairhavenwealth.co.nz for more information. To contact Sonnie, email sonnie@fairhavenwealth.co.nz or call 021 0269 2213. You can schedule a free 20 minute conversation by clicking here. (c) 2018 Sonnie Bailey. Sonnie is an Authorised Financial Adviser - disclosure statements are available on request. All information on this site is general in nature and no substitute for personalised financial advice.